PhD from University of Minnesota (2001), Post-doctorate at the Bureau des Longitudes, Observatoire de Paris (2002) and Visiting professorships at Wilfrid Laurier University (2010, 2011). Professor at Universidade Federal de Pernambuco, Brazil, since 2002. Main research interests: Celestial Mechanics, especially central configurations and relative equilibria, and Mathematical Physics. The representation theory of finite groups provides tools for factorizing the characteristic polyonomials of the matrices which appear when one studies the linear stability of symmetrical relative equilibria of the N-body problem. Such factorizations go back to the work of J. C. Maxwell on the nature and stability of Saturn rings, and it is interesting to notice that Maxwell's work appeared decades before the pioneering works of Frobenius and Burnside on group representation theory. In the talk we will present the basic concepts which permit to understand and systematize Maxwell's factorization, and provide a view on how to proceed for general symmetric relative equilibria. 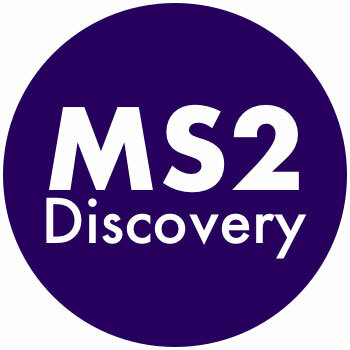 Further details are at http://www.ms2discovery.wlu.ca/seminar/17_01_25.html Refreshments will be provided. This event is organized by the MS2Discovery Interdisciplinary Research Institute.